CNC Overview: What is a CNC Machine & How is it Used? With CNC machines hitting the woodworking tool marketplace in a big way, you may be wondering what is a CNC Machine? Here’s an overview for you to help you understand what the deal is with CNC. The first step is programming on a computer. Don’t sweat the programming too much. In most cases it’s pretty intuitive. Once we have a drawing it can be sent to the CNC machine, much like sending a document to a printer. 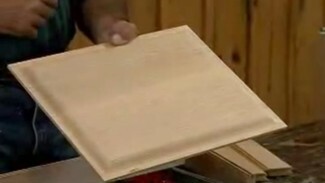 You’ll recognize many aspects of a CNC machine. 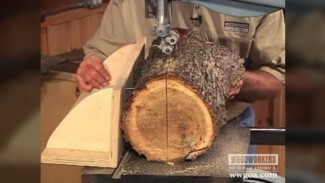 It’s not unlike a hand-held plunge router, with control of the router’s direction being provided by the CNC. Router bits are held in a collet. Three axes are available on these machines, allowing a wide variety of cuts. Is a CNC for you? Once you’ve answered the question “What is a CNC Machine?”, you’ll be wondering if one of these machines is a good fit for your shop. This is a question that each of us needs to answer individually. What benefits will a CNC machine provide for me? There’s a huge variety of things the machine can be used for. 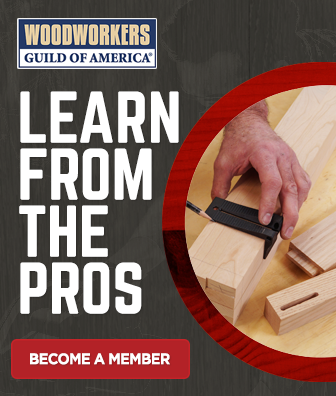 WoodWorkers Guild of America is ready to help you determine if a CNC machine will benefit you, and help you learn how to use it. Learning to use a benchtop CNC can be a lot of fun, and provide an opportunity for your creative juices to flow. So I’ve done the math and estimate an investment of about $4500 to turn out my first piece!! Let’s not forget that your audience is primarily do it yourselfers who have between 5 and 15 thousand invested in their shop so I don’t think any are interested in this very expensive novelty. You’re right, a CNC machine is an expensive addition to the shop. But we’re seeing more and more interest in this topic, so will be exploring it to see where it leads. I am a huge fan. Thanks for the info. I will be buying a CNC Router for my shop shortly – and need ALL the info I can get. 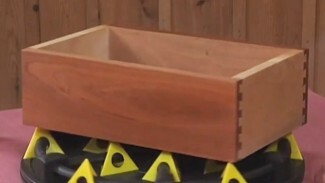 I tried playing your video re: how does a cnc work? etc. and can’t get it to play. Is there another way to view it? We are sorry to hear that you are not able to view the video. We have tested it and it is working ok. Please give us a call at 1-855-253-0822 and we can troubleshoot the issue with you. Hi Terrell. The three brands you’re looking at are good choices. You may want to also consider an Axiom machine, as they recently started providing a laser attachment. But we haven’t done any work with laser attachments on CNC machines, so can’t speak to their effectiveness. We haven’t done any side by side tool tests of these four machines but have, in general, had good experiences with each brand you mention. As you shop, consider the size of the projects you want to build, which will determine the size of the bed you need. Keep in mind that projects can be “tiled,” fed through the machine in steps. So on a 24×36 bed you can machine parts that are 24” wide, but as long as you need them to be. Over the long haul a spindle is a better choice for a CNC than a router, though more expensive up front. Some brands offer the ability to start with the less expensive router and change to a spindle later. This is a great way to get into the machine for a little less dough, with the ability to upgrade when you’re ready. Regarding spindles, you’ll find air-cooled and water-cooled. Air-cooled spindles are more expensive. Water-cooled spindles are fine, but you’ll see different systems. On some water-cooled spindles the operator has to remember to turn the pump on that circulates the water. On others, the pump runs automatically with the spindle. In an environment where the user might forget to turn the pump on, like a school (or a forgetful operator), auto on and auto off is a great feature. 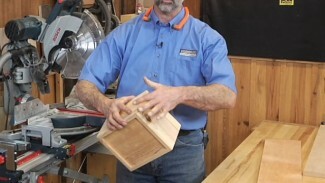 Like hand-held routers some spindles accept only ¼” shank router bits, others take ¼”, ½”, and possibly even 3/8”. A spindle capable of accepting multiple shank sizes offers the most versatility in router bit selection. Touch pads for zeroing the Z axis a common, and a great accessory to get with whatever machine you choose.